1. God gives elders to the church. James 1:17 says every good gift comes from God the Father, and this is true for the gift of leaders in the church too. Ephesians 4:11 says Christ gave apostles, prophets, evangelists, and pastor-teachers to the church. In the first century, when God laid the foundation of the church, the apostles, prophets, and evangelists (men like John Mark and Timothy, perhaps) were given to found the church. Today, pastor-teachers are given to proclaim the apostolic teaching and the whole counsel of God. And as long as the church lasts on earth, Christ will give his church men who are able to teach the Word, so that the church is built up. Knowing that elders are given by God, the church should pray to the Lord the harvest to send laborers (Matt. 9:38). Seminaries and churches cannot produce the kind of elders churches need; only the Spirit can. Certainly, the Spirit uses means, but the ultimate source of godly leaders is God himself. May we not forget this, and may we pray for God to give his church the leaders it needs. 2. The Word creates elders. Titus 1:9 says of God’s steward of the word, “He must hold firm to the trustworthy word as taught, so that he may be able to give instruction in sound doctrine and also to rebuke those who contradict it.” From this verse, it is clear the ones who are qualified to teach and reprove are also created by the Word—“he holds firm to the trustworthy word.” This begins in salvation, as the word of God (the gospel) produces life in the believer (James 1:18), but it extends to the service God calls some men to pursue. Going further, God creates elders by giving men a hunger for his Word, an understanding of its truth, and a desire to do all it says. The result of this is a man who “holds firm” to the Word and is transformed by it. In some ways, this is the gift of the new covenant to all who are in Christ, yet because the new covenant church needs models of godliness and teachers who rightly handle the Word, we can see how the word does a special work on elders in order to build up the church. Accordingly, churches who want to see God raise up elders must give themselves to the Word. Mark Dever once suggested that preaching the Word faithfully and with great skill is the best way to call out elders. When aspiring (or not yet aspiring) elders sit under the Word, God’s Spirit creates in them a desire for the Word. Then, after giving themselves to Word, God produces in them a desire to share the Word with others. Such a desire does not make one an elder, but as 1 Timothy 3:1 indicates, that desire to lead God’s people with God’s Word is a necessary part of being an elder. And this desire, rightly understood, comes again from God’s Word. While elders must be desirous to serve, men do not appoint themselves to lead the church. The church must recognize gifted teachers; they must encourage gifted brothers; and they must eventually appoint elders publicly. One difference between Paul and his Pastoral Epistles is that during the age of the apostles, elders were appointed by Paul and his apostolic delegates. In Titus he says, “This is why I left you in Crete, so that you might put what remained into order, and appoint elders in every town as I directed you” (1:5). Something similar occurs with Timothy; he is given authority to recognize and remove elders at the behest of Paul. Today, church plants may appoint elders at their inception, but very quickly a healthy church, one who rightly understands that authority (think: keys of the kingdom) is given to the congregation (not the pastor), will recognize and appoint their own elders. While individuals in the congregation are called to submit to those who teach God’s word (Heb. 13:17), the congregation as a whole is called to recognize and appoint elders in their midst. Seminaries and training schools may assist in the process; churches may work together to train future ministers; but the list of qualifications in Titus and 1 Timothy are given to the church so that bands of disciples can call faithful elders (and remove unfaithful elders). Second Timothy 2:2 calls on Timothy to entrust the ministry of the word to faithful men who will be able to teach others also. Paul, like Jesus, spent his whole life discipling men who would in time become church leaders. Just look at the end of his letters and note how many gospel partners he had. Paul was like an aircraft carrier, deploying men on mission to lead churches throughout the Mediterranean. (Don’t miss this either: Paul also praises women for assisting the ministry of the gospel in those churches). Today’s elders should also look for faithful men to develop as future elders. After praying for and teaching the congregation in all manner of church life, equipping the saints to serve is the most important role of an overseer. No minister in the New Testament is an island; the regular pattern is for faithful leaders to invite and involve others in their gospel work. This is where future elders come from. A faithful elder is not created in classroom or an online forum. Those vehicles may assist local churches to instruct members, but ultimately, current elders develop future elders. Because the health of the church depends on the presence of elders, they should make elder-development a high priority. This will ensure a ministry of the word in the future and it will multiple the ministry of the gospel in the present. By increasing the number of faithful teachers in the church and by preparing men to be sent out to other churches who need elders, the church is built up by the development of elders. All in all, when churches and elders see “elder-making” as a key component of the Great Commission, it will ensure that the place where disciples are made is hospitable for those disciples to grow. 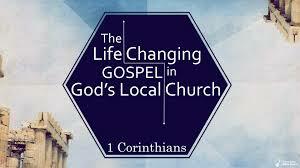 Indeed, when the gospel creates individual believers; it also forms communities of faith. And in those local churches, there is a great need for godly elders—men called by God to teach God’s word and care for God’s household (1 Timothy 3:5). May God give his churches faithful elders and may we faithfully recruit, train, and recognize God’s gifted leaders.